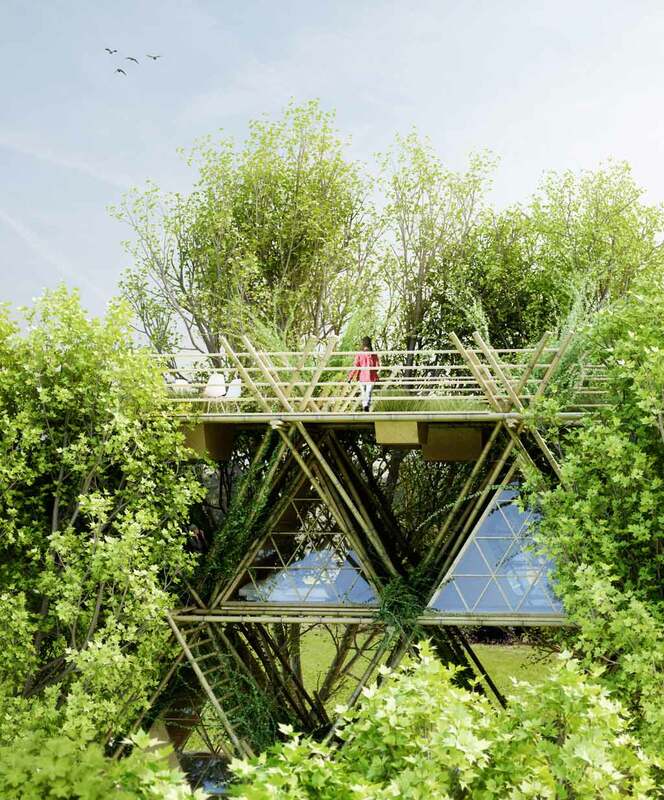 ‘One With The Birds’ is a unique architectural project that brings you closer to nature by interweaving the physical built form with it. 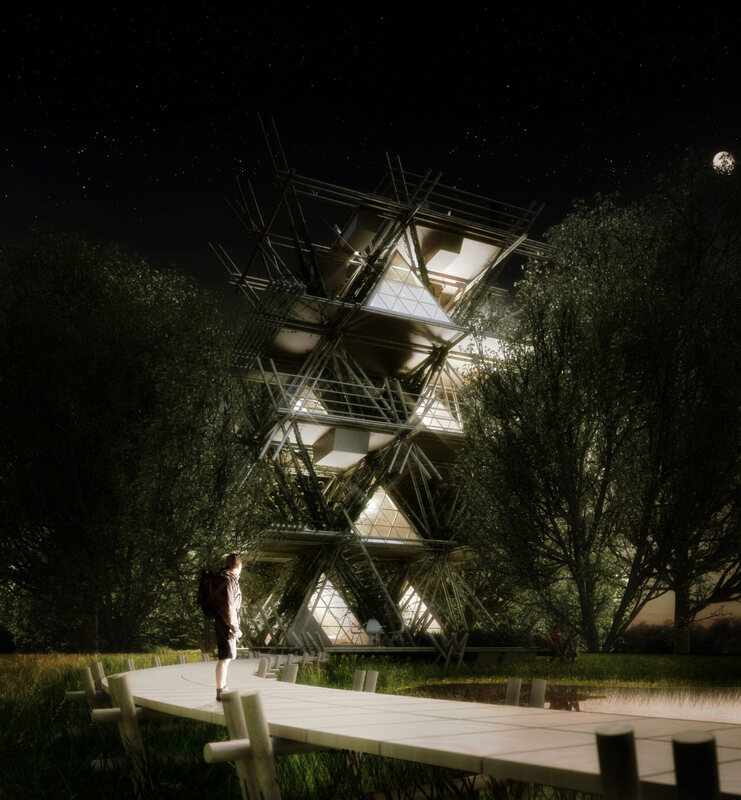 Honoring the ecological impact and dialogue introduced by the form and function, architects from Penda turn to natural materials and time tested building techniques. 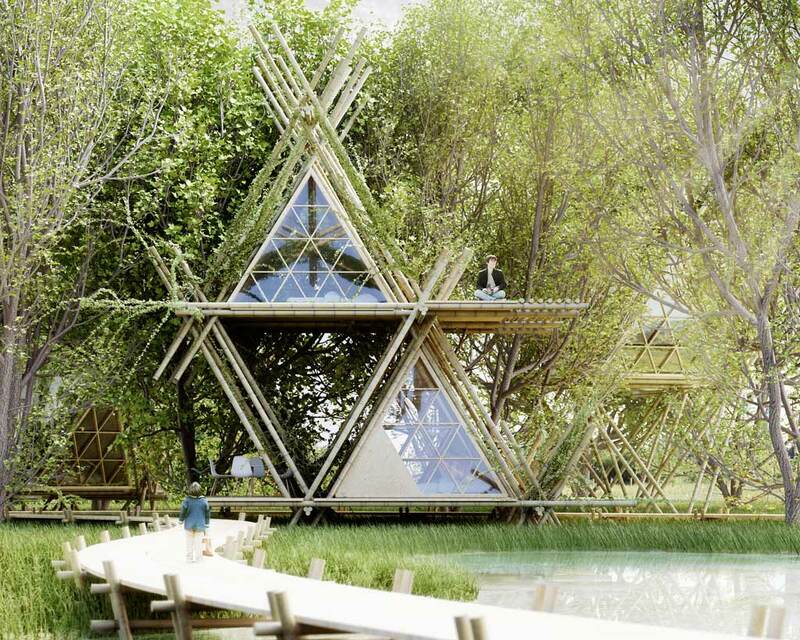 Inspired by Native American tipis and bamboo as the local material, the project creates an architectural template for the AIM ‘Legend of the Tent’ competition in China. 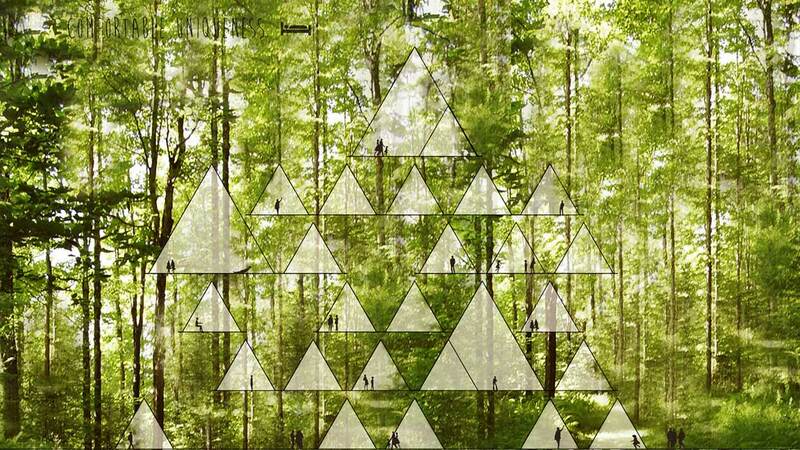 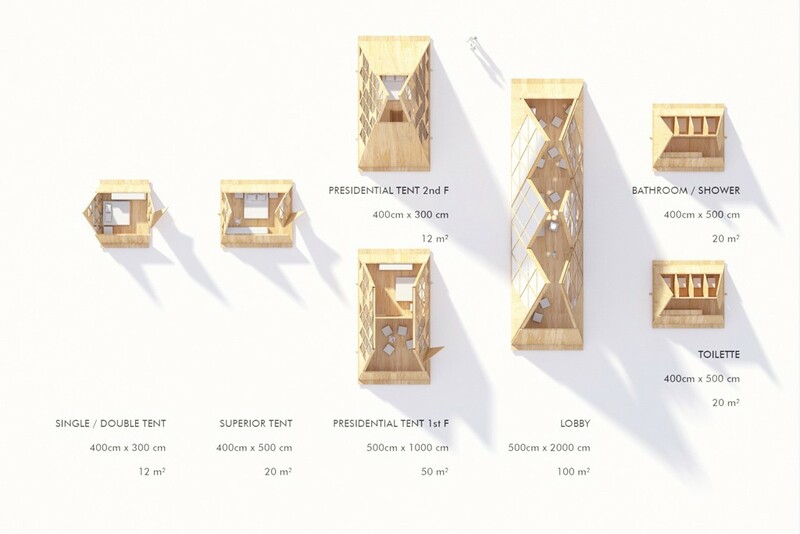 What results is a unique overlay of the organic and the manmade, creating unique interfaces and possibilities in the form of private residences in the wilderness, or a charming hotel close to nature. 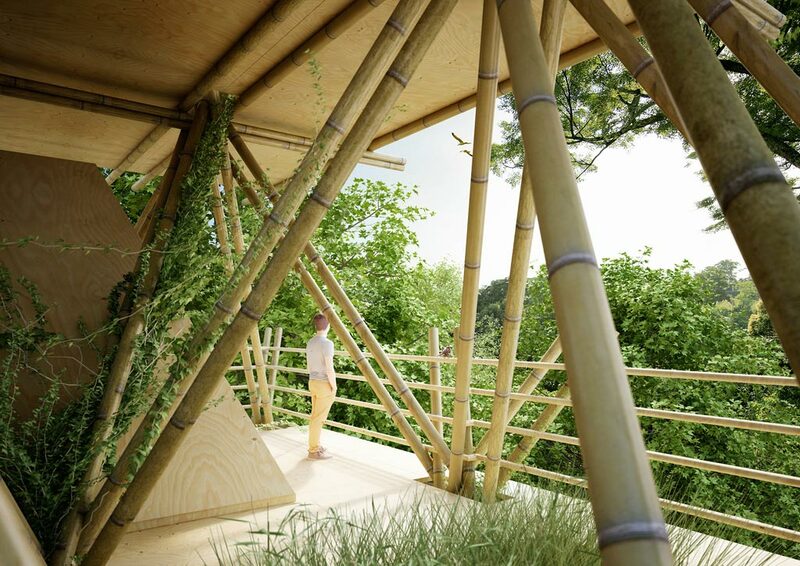 With a core intention of minimizing any impact on site, bamboo emerges as the primary material in this amazing architecture. 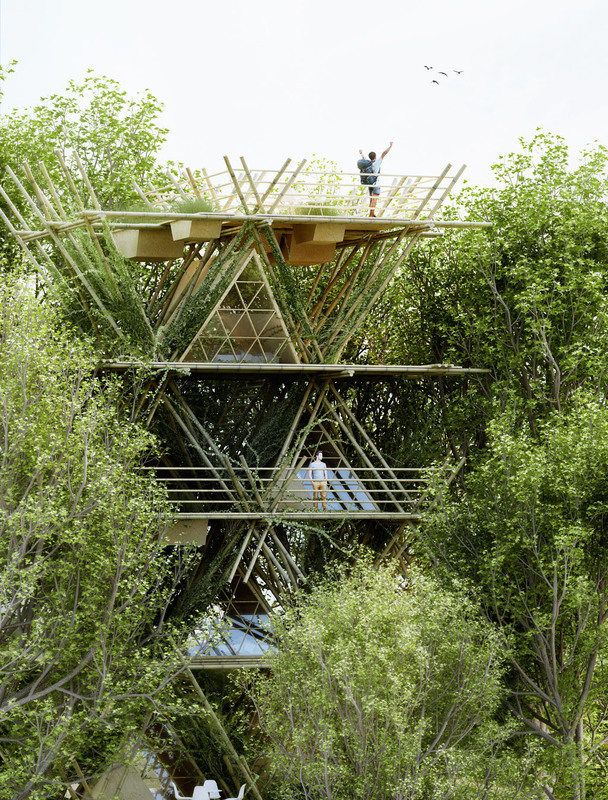 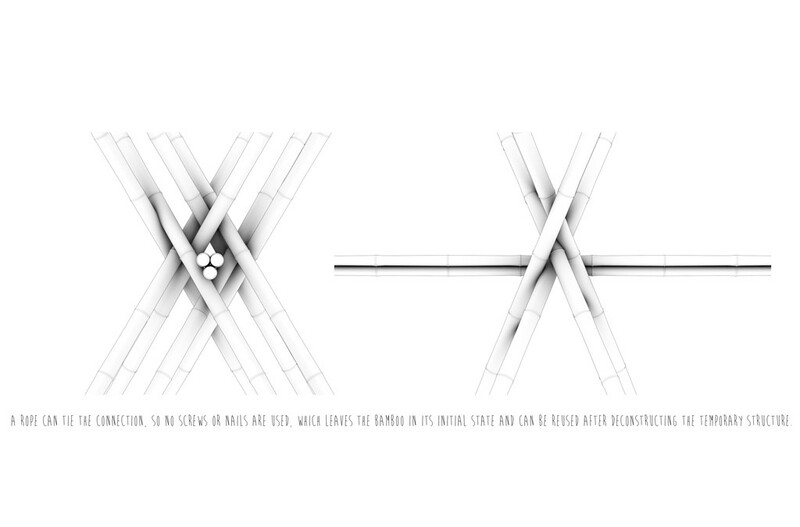 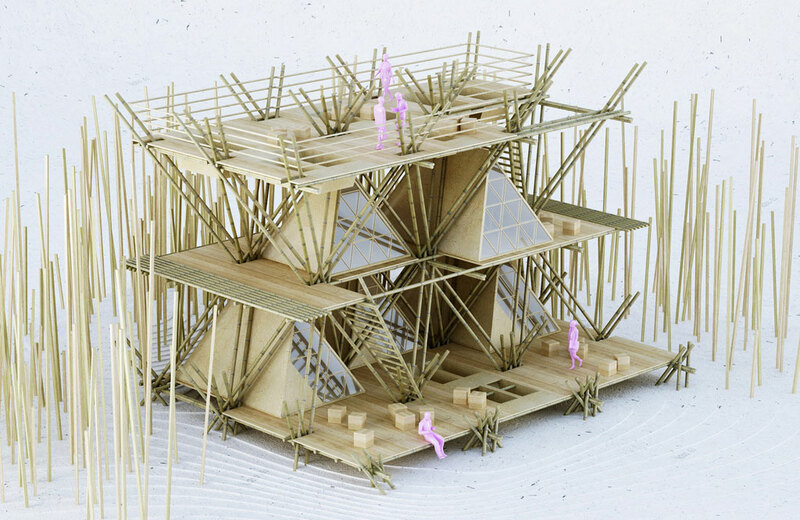 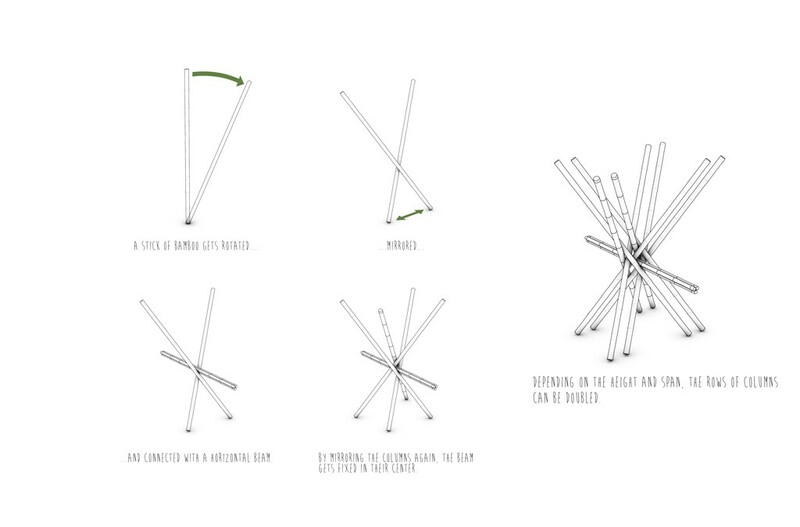 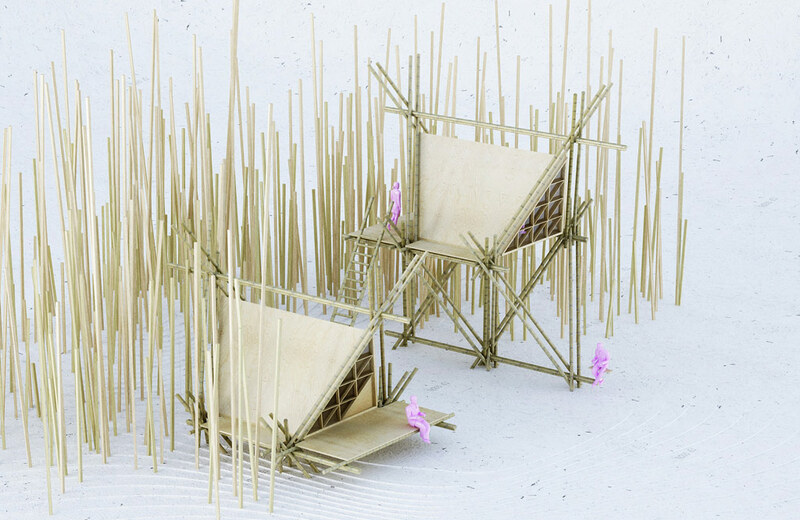 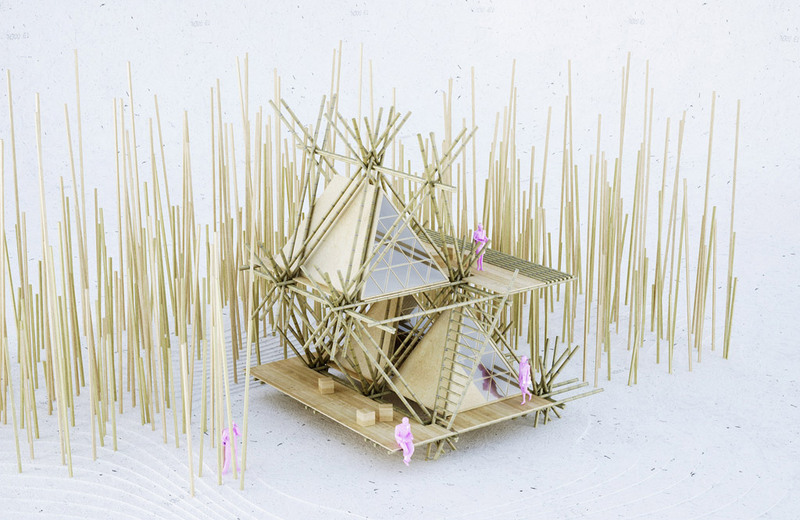 From scaffolding to structure, the bamboo sticks are brought together in an array of configurations to create a versatile module that allows for three dimensional adaptations to the demands placed by site, location and purpose. 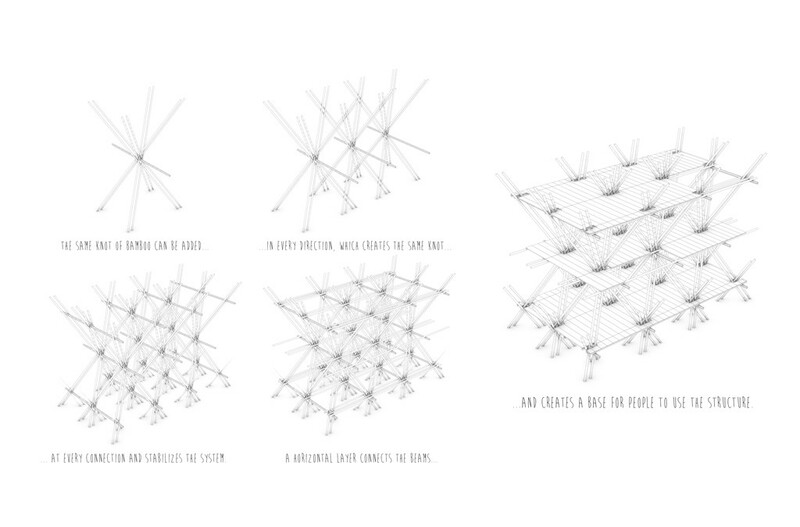 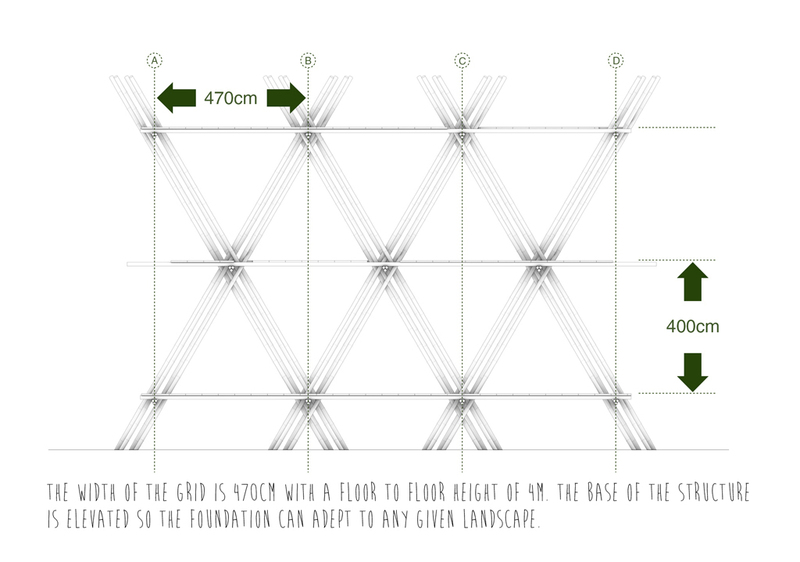 By elaborating on the basic 4.7m x 4.7m x 4m grid, the triangular modules can be exploded, extruded and twisted around for optimal use and arrangement. 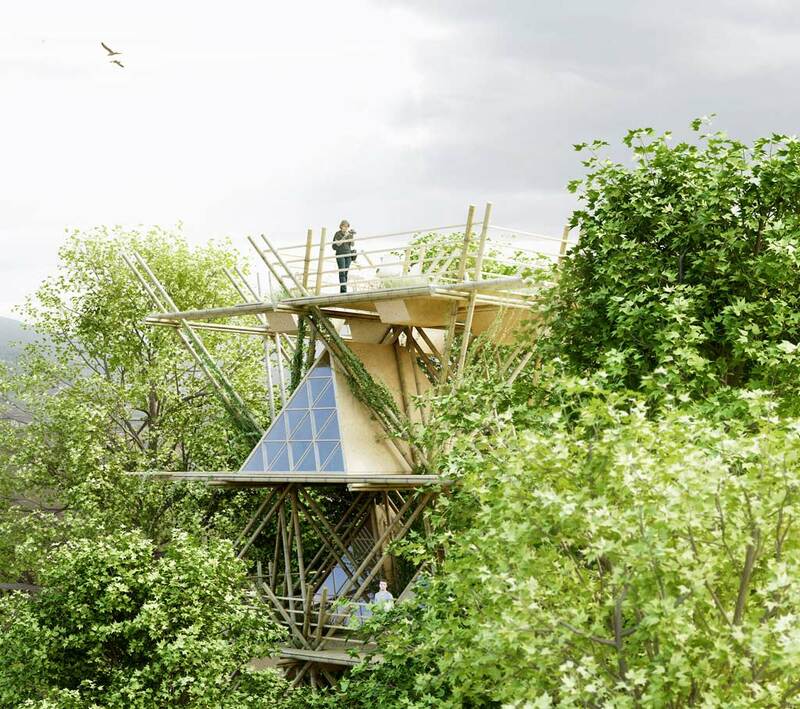 Also, the base of this hotel close to nature is elevated off the ground, allowing it to further respect and navigate the natural landscape.